Claremont, Calif. (February 09, 2018)—Pitzer College Assistant Professor Emerita of Writing Jacqueline Levering Sullivan’s third novel, Lovesick, chronicles the complexity of teenage life and the American political climate in the 1950s. The young adult novel, published by Glass Apple Press, is available in paperback and digital format through Amazon and other major book retailers. 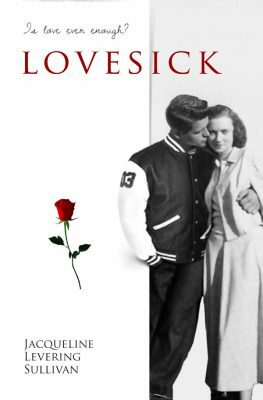 In Lovesick, Jeanmarie Dowd is crazy about handsome Chuck Neary, captain of Rainier High School’s hockey team and a musician. But he belongs to Terry Miller, Jeanmarie’s best friend and the school’s reigning beauty. But Jeanmarie has a few things going for her, too. She is smart, fun-loving and energetic. She accepts her role as Chuck’s chief confidant, knowing that it might lead to betraying her best friend. She also must deal with her sister Iris, suspected of being a communist. Can she be loyal to both her sister and Terry without betraying those she loves most? Levering Sullivan’s other books include Annie’s War, winner of the Kentucky Bluegrass Award, Master List and International Reading Association’s Children’s Book Award; and A Less Than Perfect Peace, which was named a best children’s books of the year by Bank Street College. At Pitzer College, Jacqueline Levering Sullivan founded and directed the College’s Writing Center. Levering Sullivan will be at Pitzer College’s McConnell Center Living Room on Saturday, February 24, from 3 to 6 p.m. for a book reading and signing, followed by a reception to celebrate the release of her new novel. This event is free and open to the public.